In September, Apple introduced iPhones 6 and 6 Plus, both bigger than iPhones 5s and 5c. I’ve tried holding the new phones in my hand and found even the 6 to be way too big. I would prefer an old-size phone but faster, with a better camera and with Apple Pay. I am not alone. But there are no new phones at the old size. If you don’t like the new size, you will have to get the last-year model. There is no clear separation between the last year models and the new models. 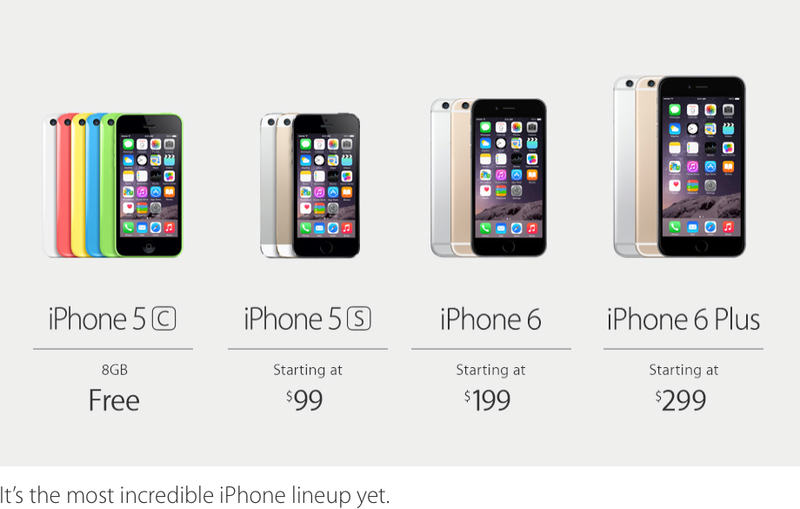 This is simply “iPhone lineup” with the phones of three sizes: 4-inch, 4.7-inch and 5.5-inch. Showing three new devices at the same time could be just too much for one event. But Apple could update the 4-inch models next year.